Objective. This study aimed to assess the effects of low-dose dopamine on patients with depression in the intensive coronary unit. Methods: Relatives of 43 ICU patients enrolled in the study. Sociodemographic characteristics of patients and their families recorded. Patients evaluated basal echocardiographic and biochemical values measured in the patient group. The Beck Anxiety and Depression Scale was used to assess anxiety and depression. The assessment performed by Beck scale at the 1stand 24th hour. Results: The final study population consisted of 42 patients hospitalized with heart failure. Mean patient age was 67.5 ± 12.6 years. Average EF was 23.5% ± 8.7% and mean ProBNP was 6343.76 pg/mL in our study population. Changes of before and after dopamine treatment in depression score of heart failure patients was showed significantly (before value: 18.95 ± 9.89; after value: 17.29 ± 10.30, p < 0.001) however systolic and diastolic pressure difference was not significant. Conclusion: Depression increased mortality and hospitalization in patients with heart failure. Therefore, it is an essential trial because of low-dose dopamine improve depression score in intensive care patients. However, prospective studies were needed to assess the long-term efficacy of dopamine. Rutledge T, Reis VA, Linke SE, Greenberg BH, Mills PJ. Depression in heart failure a meta-analytic review of prevalence, intervention effects, and associations with clinical outcomes. J Am Coll Cardiol 2006;48:1527-37. Sherwood A, Blumenthal JA, Hinderliter AL, Koch GG, Adams KF Jr, Dupree CS, et al. Worsening depressive symptoms are associated with adverse clinical outcomes in patients with heart failure. J Am Coll Cardiol 20 11;57:418-23. Lehman-Leegte I, van Veldhuisen DJ, Hillege HL, Moser D, Sanderman R, Jaarsma T. Depressive symptoms and outcomes in patients with heart failure: data from the COACH study. Eur J Heart Fail 2009;11:1202-7. Moraska AR, Chamberlain AM, Shah ND, Vickers KS, Rummans TA, Dunlay SM, et al. Depression, healthcare utilization, and death in heart failure: a community study. Circ Heart Fail 20 13;6:387-94. Gnanasekaran G. Epidemiology of depression in heart failure. Heart Fail Clin 2011;7:1-10. Allman E, Berry D, Nasir L. Depression and coping in heart failure patients: a review of the literature. J Cardiovasc Nurs 2009;24:106-17. Pitt B, Deldin PJ. Depression and cardiovascular disease: have a happy day e just smile! 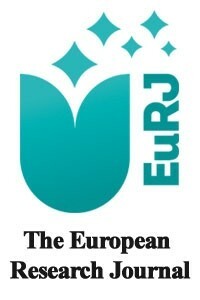 Eur Heart J 2010;31:1036-7. May HT, Horne BD, Carlquist JF, Sheng X, Joy E, Catinella AP. Depression after coronary artery disease is associated with heart failure. J Am Coll Cardiol 2009;53:1440-7. Frasure-Smith N, Lespérance F, Habra M, Talajic M, Khairy P, Dorian P, et al. Elevated depression symptoms predict long-term cardiovascular mortality in patients with atrial fibrillation and heart failure. Circulation 2009;120:134-40. Johnson TJ, Basu S, Pisani BA, Avery EF, Mendez JC, Calvin JE Jr, et al. Depression predicts repeated heart failure hospitalizations. J Card Fail 2012;18:246-52. Newhouse A, Jiang W. Heart failure, and depression. Heart Fail Clin 2014;10:295-304. Sullivan M, Levy WC, Russo JE, Spertus JA. Depression and health status in patients with advanced heart failure: a prospective study in tertiary care. J Card Fail 2004;10:390-6. Sullivan M, Simon G, Spertus J, Russo J. Depression-related costs in heart failure care. Arch Intern Med 2002;162:1860-6. Cuffe MS, Califf RM, Adams KF Jr, Benza R, Bourge R, Colucci WS, et al; Outcomes of a Prospective Trial of Intravenous Milrinone for Exacerbations of Chronic Heart Failure (OPTIME-CHF) Investigators. Short-term intravenous milrinone for acute exacerbation of chronic heart failure: a randomized controlled trial. JAMA 2002;287:1541-7. Teerlink JR, Clarke CP, Saikali KG, Lee JH, Chen MM, Escandon RD, et al. Dose-dependent augmentation of systolic cardiac function with the selective cardiac myosin activator, omecamtiv mecarbil: a first-in-man study. Lancet 2011;378:667-75. Gheorghiade M, St Clair J, St Clair C, Beller GA. Hemodynamic effects of intravenous digoxin in patients with severe heart failure initially treated with diuretics and vasodilators. J Am Coll Cardiol 1987;9:849-57. Gheorghiade M, Braunwald E. Reconsidering the role of digoxin in the management of acute heart failure syndromes. JAMA 2009;302:2146-7. Sherwood A, Blumenthal JA, Trivedi R, Johnson KS, O'Connor CM, Adams KF Jr, et al. Relationship of depression to death or hospitalization in patients with heart failure. Arch Intern Med 2007;167:367-73. Krimer LS, Muly EC 3rd, Williams GV, Goldman-Rakic PS. Dopaminergic regulation of cerebral cortical microcirculation. Nat Neurosci 1998;1:286-9. Iadecola C. Neurogenic control of the cerebral microcirculation: is dopamine minding the store? Nat Neurosci 1998;1:263-5.